Mastic is a heavy duty construction adhesive that was primarily made out of asbestos. It is a category 1 asbestos-containing material. This asbestos seated adhesive was commonly used to help bond carpet, flooring and ceiling tiles in buildings built before the 1980’s. If mastic needs to be removed, our technicians at Clean Cut Abatement can remove asbestos mastic adhesive with a 800-pound mastic grinder. When we complete a mastic removal job, there is no glue left to hold the asbestos fibers in place, and therefore, the fibers may remain. In order to avoid that the asbestos fibers from becoming airborne, we make sure to lock down any fibers with an approved penetrable encapsulation after the removal project has been completed. Safety regulations often require mastic removal while performing overall asbestos abatement. We know that mastic is harder to remove than asbestos floor tiles, nonetheless our technicians are trained to operate the mastic grinder especially designed for asbestos professional abatement contractors to remove black mastic from under tile or wall-to-wall carpets. Carefully Removing Mastic Adhesive in Bloomfield. 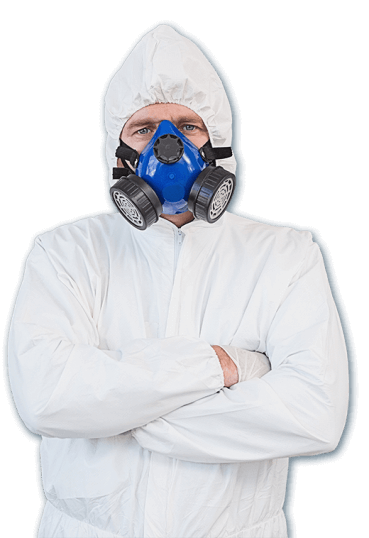 If you need for asbestos-containing materials such as asbestos mastic adhesive to be removed, we strongly recommend you contact a professional specialist from Clean Cut Abatement now at (800) 975-1697. You should always work with a trained professional if asbestos mastic or any asbestos products need to be removed. Clean Cut Abatement can help contractors and business owners in Bloomfield, VA with issues concerning asbestos mastic removal in commercial buildings. We do not recommend that you check for asbestos yourself, if you remove or disturb the mastic, it is likely that you will probably inhale some asbestos fibers and put your health at risk. Let Clean Cut Abatement help you protect your business, employees, and clients. Get your free consultation today! If you are concerned about possible exposure to asbestos, talk to your doctor. For more information on asbestos-related materials in your home or building call Clean Cut Abatement at (800) 975 1697.